Should I Turn Off My Furnace in Spring? This entry was posted in Heating, HVAC, Ventilation and Air Quality and tagged furnace, Gas Heater, San Diego, spring on March 26, 2016 by . As the weather changes and the air begins to warm up outside, you might have caught yourself wondering – should I turn off my furnace in spring? By turning it off, we don’t just mean setting the thermostat to the off setting. You can also turn off the pilot light itself, which burns gas as long as it is lit. So why waste gas (and money) all summer long? Learn more about the benefits and potential drawbacks of turning off your furnace for spring, and how to turn off your furnace for the season if you choose to do so. Whether you have an electric or gas furnace, turning off your heater in spring has several obvious benefits. It costs money to keep your pilot light lit. By turning off your pilot light for spring and summer, you can save $50 (or more if you have multiple heating units) per year. While that might not seem like much, $40 is enough to cover a full tank of gas for your next family road trip. And who doesn’t like free money? Along with consuming your dollars, your pilot light feeds on a steady supply of gas. One pilot light uses about 900 to 1200 BTUs (British thermal units) per hour. Keep in mind that your pilot light doesn’t turn off and on – it stays constantly lit, and therefore is constantly using energy. Avoid accidentally heating your home. Does your furnace sometimes have a mind of its own? Or do your kids think it’s “fun” to play with the thermostat? If you turn off your pilot light and gas supply to your furnace, you don’t have to worry about coming home to a house that has warmed itself up to 90 degrees this spring. One potential drawback of turning off your furnace in spring is that you’ll have to relight it again come fall. If your pilot light is easily accessible, this is no problem. If your pilot light has given you troubles in the past, then you’ll have to contact a professional to come and relight it for you. I Want to Turn Off My Furnace this Spring – How Do I Do It? So you’ve decided that you want to turn off your furnace for spring. You’ve come to the right place! Follow these steps to safely turn off your furnace and save some dough this season. Turn off the gas supply. The shut off valve for your furnace’s gas line is usually located near the pilot light itself. Turn the shut off valve so that it is perpendicular to the supply line, forming an L shape. This means that the gas supply to your pilot light is off, and you should see the flame disappear. Check your air filters. 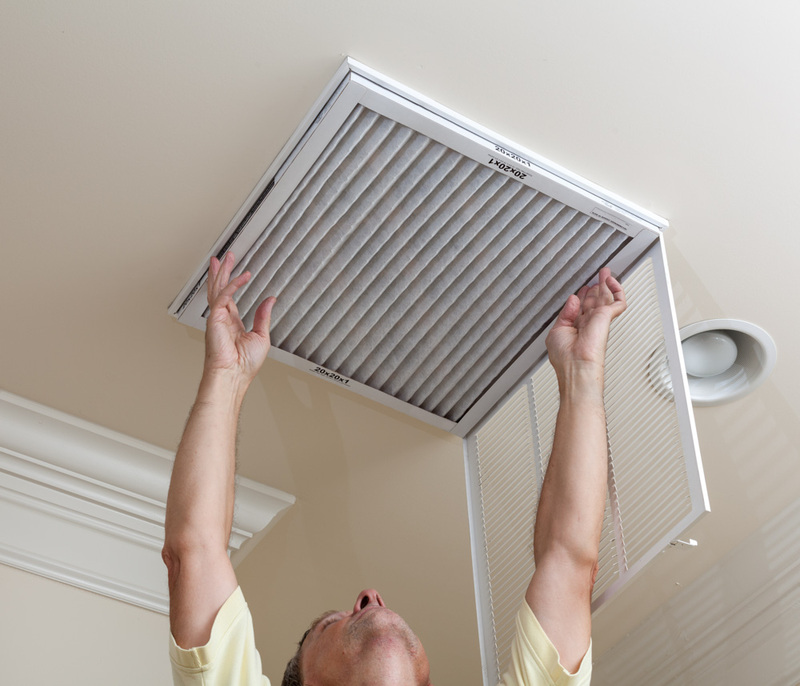 Now is a good time to remove your used air filters and replace with new ones. Check the surrounding area. Make sure that the furnace is clear of debris and other fire hazards. Check your carbon monoxide detector. Make sure it is on and fully functioning to ensure your safety. Have a professional perform a full inspection. It doesn’t hurt to have a professional come and check to make sure your furnace is in good condition before you forget about it all through the spring and summer months. Remember – if you need any assistance in turning off your furnace this spring, call your local [heating and air conditioning professionals].